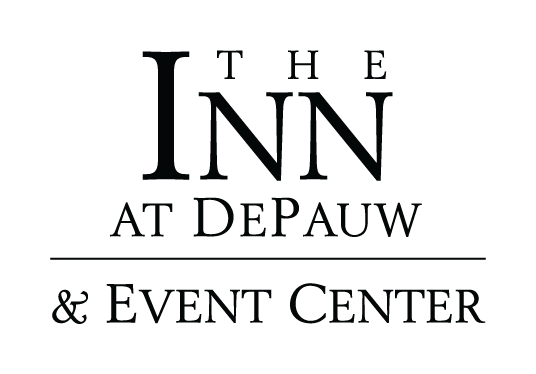 ​Designed to accommodate business and leisure guests visiting Greencastle or the campus of DePauw University, The Inn at DePauw provides an outstanding travel experience distinguished by warm hospitality and personalized, boutique-style service. Our hotel services and amenities include; The Gift Shop, a fitness room, room service, as well as two of the best places to eat in Greencastle, Indiana - The Fluttering Duck Bar & Grill and 2 West Bistro. Our welcoming staff members are available to recommend top nearby attractions and activities and meet any request that you might have. The Inn at DePauw's Great Room is a comfortable place to gather in front of the fireplace to relax and unwind. Room Service is offered from 2 West Bistro and the Fluttering Duck during operating hours. Located in the lower level of the Inn, the fitness center is available 24 hours a day and includes a treadmill, elliptical, stationary bike and a spin bike. Guests also enjoy access to the DePauw University Welch Fitness Center, a two-story, 16,000-square-foot state-of-the-art fitness facility, and the Erdmann Natatorium, which includes a 25 yard x 25 meter 10 lane swimming pool and one- and three-meter diving boards. Availability is based on hours of operation and university schedule.